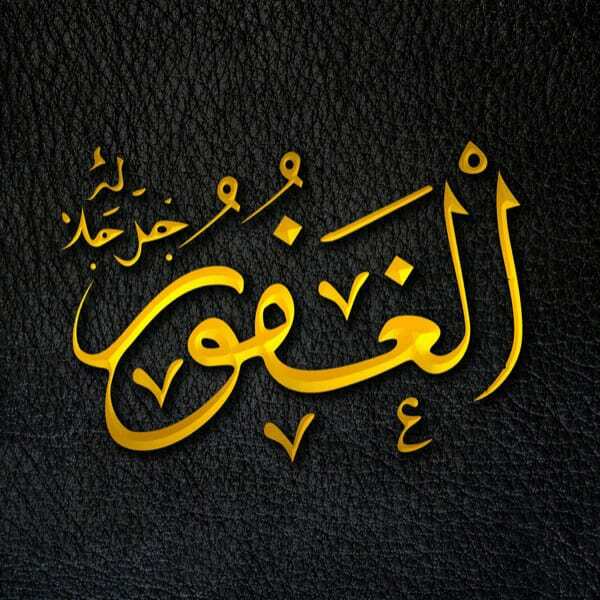 Al-Ghafūr appears 91 times in the Qur’an. God Almighty says: “And when those come to you who believe in Our verses, say, “Peace be upon you. Your Lord has decreed upon Himself mercy: that any of you who does wrong out of ignorance and then repents after that and corrects himself – indeed, He is Forgiving (Ghafūr) and Merciful.”” (Qur’an, 6:54) Ghafūr is the One who forgives over and over and over again. The Prophet ﷺ told us: “The one who (regularly) seeks forgiveness, God will relieve him of every burden, and make from every discomfort an outlet, and He will provide for him from (sources) he never could imagine.” (Abu Dawud) In the hadith collection of Bukhari, it was related that someone committed a sin and then said: “O God! Forgive me my sin.” God said: “My servant committed a sin, but knew that he has a Lord who forgives sins and punishes sins.” Then he committed the sin again and said: “My Lord! Forgive me my sin.” God said: “My servant committed a sin, but knew that he has a Lord who forgives sins and punishes sins.”Then he committed the sin again and said: “My Lord! Forgive me my sin.” God said: “My servant committed a sin, but knew that he has a Lord who forgives sins and punishes sins. (Bukhari) Meaning as long as we turn back to God, He forgives our mistakes.